During the Middle Ages, nothing was more frightening to people than someone dying of the plague. One death would likely mean thousands of deaths. In the 14th Century, it would likely mean millions of deaths. Thanks to antibiotics and an understanding of how the disease is transmitted, those fears aren’t quite as pronounced, but even in this day and age, a single death is still enough to generate frontpage headlines around the world. According to AFP, the outbreak occurred in Ak-Suu, the easternmost district in Kyrgyzstan. A fifteen-year-old who worked as a sheep herder started displaying the symptoms, a fever and swollen lymph nodes. He passed away this past Thursday, and as soon as the death was linked to bubonic plague, the area was quarantined. Three other people, a woman, a toddler and a teenager are now displaying symptoms, and a further 105 have been identified as having been in contact with one of the infected. Officials with the Kyrgyzstan government have been very proactive about communicating with the understandably worried general public so far. They’ve assured everyone there are enough antibiotics to prevent a widespread infection already on hand, and the transportation of farm animals has been restricted, as per The Guardian. The world is filled with a lot of weird medical, natural and historical mysteries. When it comes to plague, however, there’s almost nothing that’s still unknown. The disease was first brought to Europe from China through rats stowed away on merchant ships. There are three different types: bubonic, septicemic and pneumonic. The first two are transmitted from either flea bites or close contact with rodents. The last, which happens after the disease spreads to someone’s lungs, is passed through person-to-person contact. If left untreated, death will happen in a very high percentage of cases, and if the conditions are right (cool temperatures, a large mass of people in a small space), the disease can overwhelm an entire community in a hurry. 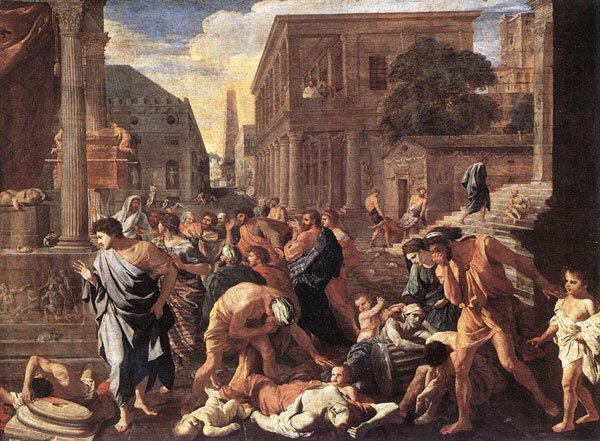 There hasn’t been a documented outbreak of any form of the plague in a city since the 1920s. Now and again, cases appear in rural areas, particularly in Africa and Central Asia. They always cause a little bit of worry, but with the right safety precautions, they’re quickly contained. Hopefully, that same exact process will take place here. Pop Blend’s sincerest thoughts go out to everyone affected by this horrible tragedy or in danger of being affected by it in the infection. It may not be as bad as it once was, but that’s still not a comfort to the friends and family member of someone who died.